Serene and calming with a touch of traditional Chinese wallpaper styles the Chinoiserie Tile Wallpaper Mural will adorn your walls in beauty. 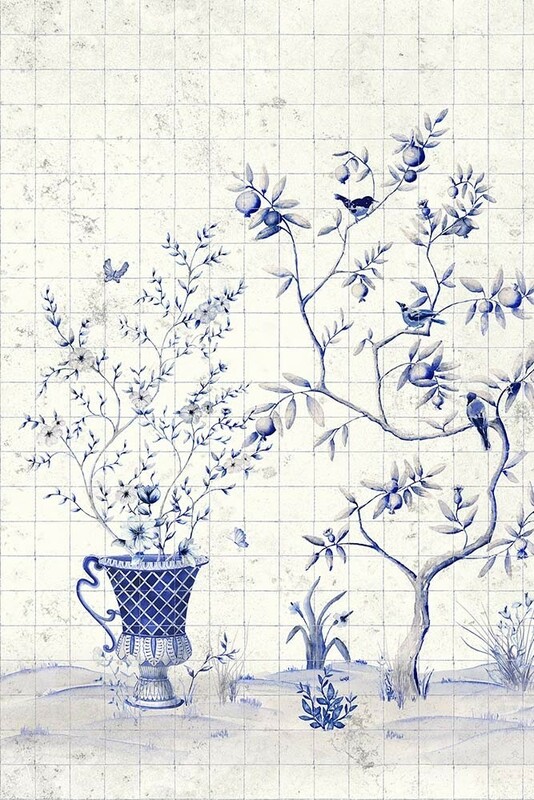 A gorgeous wall mural with calming colours the Chinoiserie Tile wall mural features an off-white tile backdrop with delicate blue blossoms, fruit trees and flowering shrubs in pots with birds and butterflies. 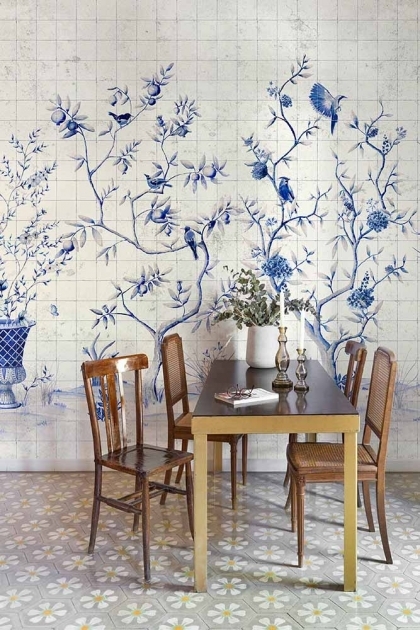 A stunning digital print wallpaper mural, the Square Tiled Chinoiserie mural measures 2.8m in height x 4m in width and is printed onto non-woven back paper. Please note, this wall mural has a 2-3 week delivery time.